Reserve your advertising space today to ensure your brand is visible to all our Austin Conference attendees! 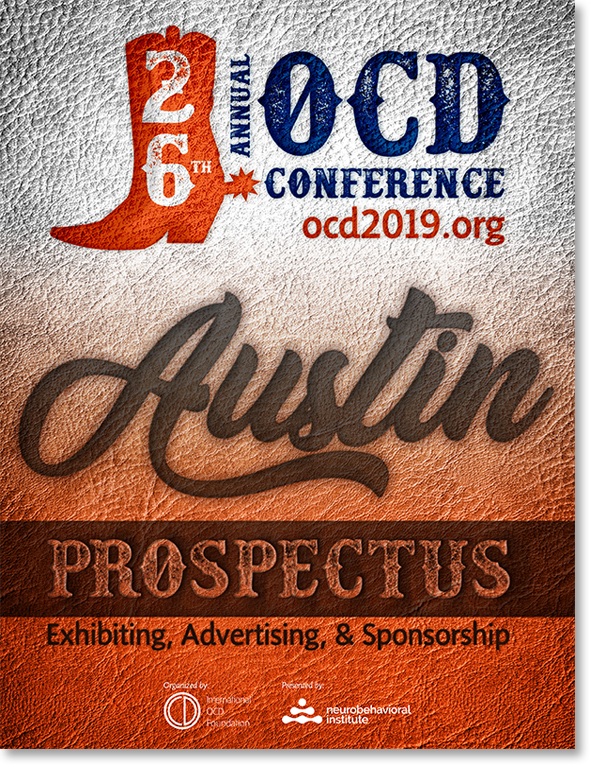 Whether it be in the Program Guide, Presentation Booklet, Conference website, or Conference mobile app — by advertising at the Annual OCD Conference, you are increasing your brands visibility to the largest community focused solely on OCD and related disorders. Both print and digital advertising options are available to extend your reach beyond the Conference weekend, as the Conference collateral, website, and mobile app are used for month after the Conference by attendees, presenters, and exhibitors as a wealth of information on available resources. Review the 2019 Prospectus and fill out and send in the included Exhibitor/Advertiser Application to reserve your adverting space today! Want to increase your exposure and connect with attendees on site in Austin? Click here to learn more about exhibiting at the Annual OCD Conference and how you can build brand awareness by marketing to a diverse group of individuals and families affected by OCD, BDD, and hoarding disorder. Questions? Contact Tiia Groden, IOCDF Membership & Outreach Manager at tgroden@iocdf.org or call (617) 973-5801, Ext 28.